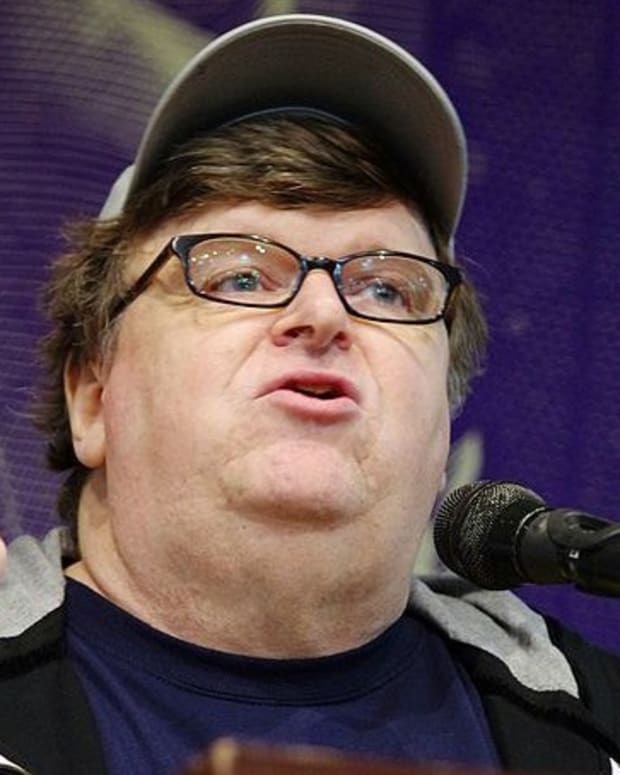 Democrats Spanked in Michael Moore's "Capitalism-A Love Story"
Life can take you on funny paths. Sometimes things just happen. 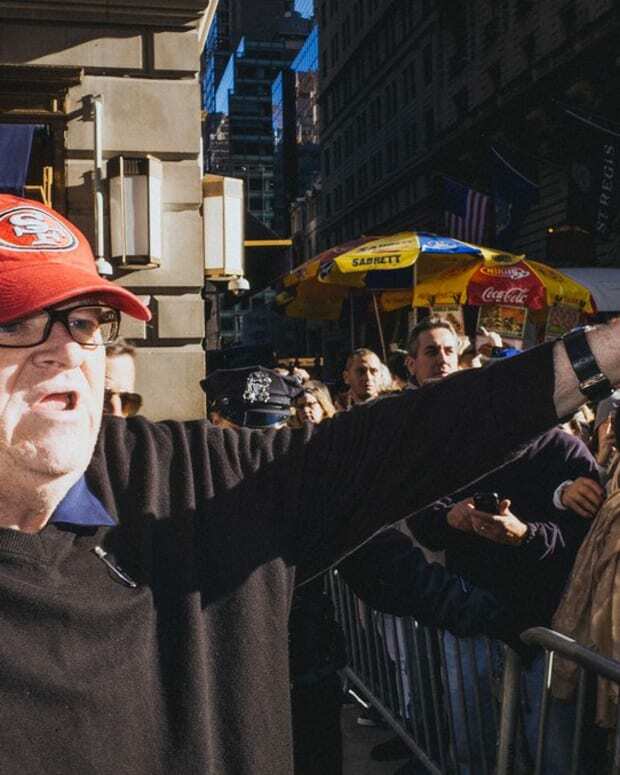 For example, last week I marched with Michael Moore to end capitalism. I was in Pittsburgh to cover the AFL-CIO&apos;s annual convention. The week before the event, organizers tacked a late addition onto the schedule: the first American showing of Moore&apos;s latest film, Capitalism: A Love Story. Moore himself dropped in for the premiere. At a convention reception, the tubby populist spoke wistfully of his hope that the nation&apos;s governors would call out the National Guard to stop corporate leaders and union busters. And then Moore led a march through the streets of Pittsburgh to the Byham Theater, where the movie was being shown. I followed along and found myself in the company of about 500 union members and left-wing activists. They were shouting chants like, "Hey-hey, ho-ho, insurance companies have got to go!" Without intending to, I even ended up sitting just behind Moore in the theater. The film itself is about what you would expect: a two-hour polemic raging at the state of the economy and the malefactors that got us into it, identified as the titans of Wall Street (especially Goldman Sachs) and the regulators and lawmakers on Capitol Hill, especially the George W. Bush administration. Much of it features interviews with people being evicted from their homes or being laid off from their jobs. And Moore certainly isn&apos;t afraid to hit the sentimentality button. The interviewees are often weeping. The moment of hope arrives with—you guessed it—the election of Barack Obama, who is portrayed as a populist warrior who will reverse all of this. For the members of the AFL-CIO, it was a huge hit. Many hope that it will take off the same way Moore&apos;s Fahrenheit 9/11 did. But Capitalism: A Love Story goes in two unexpected directions, both of which may elicit a mixed reaction from Moore&apos;s core audience. Still, DVD copies of Capitalism: A Love Story are not likely to be passed around at Christmastime by House Speaker Nancy Pelosi (D-Calif.), Senate Majority Leader Harry Reid (D-Nev.), Senate Budget Committee chairman Kent Conrad (D-N.D.), or even House Financial Services Committee chairman Barney Frank (D-Mass.). All of them are portrayed as either dupes or water carriers for Wall Street scoundrels. Senate Banking Committee chairman Chris Dodd (D-Conn.) gets a particularly serious shellacking. The film dwells at length on his being a "friend of Angelo," i.e., Angelo Mozilo, the former Countywide Financial CEO who made below-market loans to the politically well-connected. After the premiere one union activist asked Moore about the fact that two other people he criticizes in the film, National Economic Council chairman Larry Summers and Treasury Secretary Timothy Geithner, are in Obama&apos;s administration now. 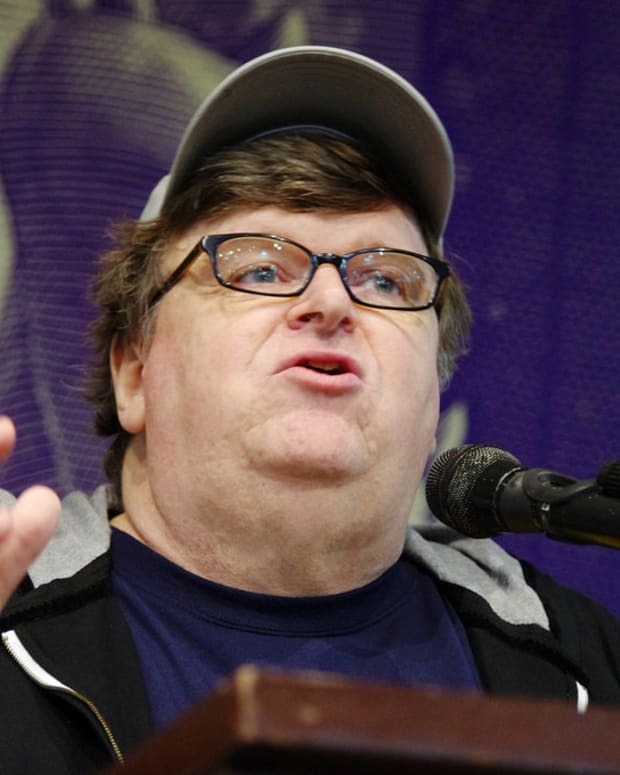 Moore responded by saying that he imagined Obama had—figuratively speaking—hired bank robbers to advise him on keeping the bank from getting robbed. "That&apos;s my hope," Moore declared. The line got a laugh but it points to the fact that conservative tea party activists aren&apos;t the only ones upset with Washington. With the Democrats in charge of Congress and the White House, elements of the left are now beginning to hold them responsible for the state of the economy and the promises they have made. While they all still hate George W. Bush, the days when that was enough to unify the left are fading. The film&apos;s second unexpected direction is to go beyond just shaking a finger at Wall Street and Washington. Moore doesn&apos;t simply call for new regulations. Instead, he explicitly states that "Capitalism is evil and you cannot regulate evil." Something must replace it. He doesn&apos;t exactly say what should come next, but he does lay some pretty heavy hints. Towards the end of film he interviews Sen. Bernie Sanders (I-Vt.), the Senate&apos;s only (avowed) socialist. As far as Moore is concerned, Sanders&apos; ideas "sound like America." While many liberals have mocked conservatives for claiming that the left&apos;s agenda is socialist, Moore&apos;s response is, "Yeah, so?" "I hope this film really gets a dialogue going," one AFL-CIO member told me after the film. That it might. One final note: Just before the film started, Moore asked the audience to turn off any recording devices because the studio did not want bootleg versions of the film getting around. Apparently this socialism stuff has its limits.